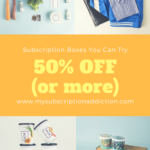 Check out the latest Geek Black Friday 2018 Coupons on My Subscription Addiction! Today Only! Loot Crate Cyber Monday Extended Sale – Save 50% Off Loot Anime & Loot Gaming! The Nick Box Cyber Monday Deal – 25% Off Your First Box! Today Only! 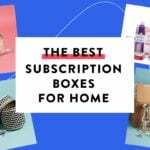 Cratejoy Subscription Box Sunday Sale – 20% Off Subscriptions!